Live it up, November birthday babies, it’s your month! And we have something amazing for you: The Topaz Birthstone Collection. These birthday goodies were inspired by Topaz which is a symbol of love, tenderness and affection. We gathered some of the most beautiful fragrances to create this original bouquet. Ozone accord, cardamom, and citron leaf blend for a dynamic, seductive scent. The Topaz Birthstone Bath Bomb will transform a regular bath into something truly magical. Simply fill your tub with hot water and drop your gorgeous bomb in. Sparkle like a queen with a hidden gift inside! Each item in our Birthstone Collection features a dazzling Fragrant Jewels’ ring with a topaz-inspired CZ center stone. There are 10 rings in all – and one is a rare design which showcases a gorgeous ring with a truly unique setting. 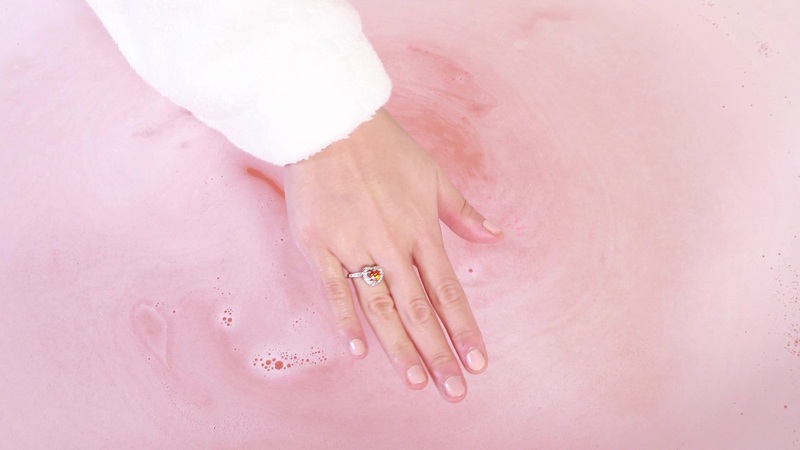 Free Bonus Each Bath Bomb contains a beautiful LIMITED EDITION Topaz ring and a code that gives you a chance to win a ring with a retail value between $100 and $10,000!